Christian Corbett LSWPPThis shows the qualification attained by Christian Corbett within the SWPP and associated societies. Strengths: My images are already getting well known amongst other photographers, I am a British Award Winning Photographer and had my work in exhibitions seen by the public at the Manchester, Cube Gallery. Photographer how long: Been a photographer for many year now started at school doing film photography on medium format cameras then I worked in London with Professor Winston Ingram doing studio photography and lighing and worked at Blackpool Pleasure Beach doing Social photography. Then finally finshed my degree course at Blackpool & The Fylde College doing lighing and enhancing my photography and digital editing skills. started photography at school would say been a photographer now for over 20 years. Key skills and abilities: As well as being a creative photographer, am also a videographer now as well. I can make most images turn from being just a photograph to a work of art as my abilities to enhance and change an image has improved greatly. My personality: easy to talk to great listener thats what you need from a photographer to make your weddings or family portraits turn out great and to make your special day very special indeed and great photographer to make children have fun so always expect a great image and a great day with this photographer. Geographic areas: As most weddings we take a deposit can cover any area within the United Kingdom and abroad, we take most payments through paypal on our website but also we have credit card facilities. This is also the same for family portrait work, so based in lancashire but can travel anywhere. Venues: We can take photographs in any venue, but would love to have a challenge take photographs in a stately home but dont mind where venue is would take your wedding photographs anywhere. But would like a challenge like an underwater photography wedding that would be amazing. Inspires me: Most photographers that inspire me are on my facebook or linkedin webpages, love photographer that challenge themselves to get the perfect images like fashion photography underwater like kenvin pinardy and have other influences like my facebook friend David Baley so yes have many influences. Success in Photography: first success member of the best photographic organisation about the society of wedding and portrait photographers and got qualification with the national photographer alliance so any area of photography I can do from adverts, portraits, weddings, landscapes and wildlife to name but a few the list goes on. 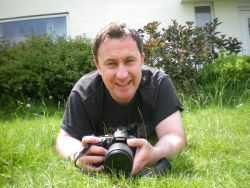 I am an award winning photographer in 2010 with community times and had my work in exhibitions. Been trained by some of the best photographers in the United Kingdom and finished degree course in photography. Interests other than photography: swimming, tennis, scuba diving, videography and film making, campaigning, running my documentary film making business on facebook magic water productions making people aware on poverty issues, environmental and animal welfare. Swpp: Need to enter more contests this year my personal aim but being in a great organisation like the SWPP is a great and influential organisation and at the best price value for money wise every photographer should be with swpp if you want photography as a career. Tagline: If you want creative images and the perfect wedding day or portait look no further you found the photographer to make your day really perfect. Future Plans: Build up my business, train other photographers to high standard as many people say they are a photographer but setting camera on automatic and never challenging yourself your not a photographer quote for the day.